Heat your grill to its medium temperature setting. Place the butterfly-cut shrimp flesh down on the grill. Drizzle with olive oil. Cover and let cook for 5-6 minutes, until flesh closest to the flame is mostly opaque. Flip the shrimp and sprinkle generously with salt and pepper. Cover the grill again and cook for an additional 5-6 minutes, until cooked through. 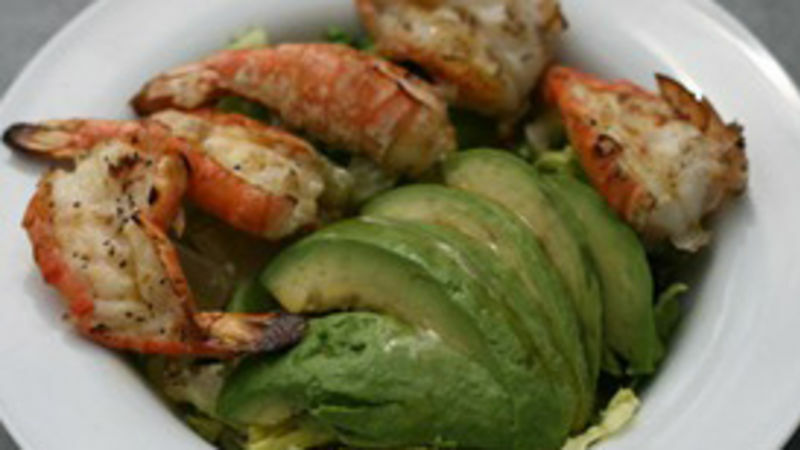 The shrimp should pull slightly away from the shell. Serve immediately. NOTE: remove the shrimp from the shell before eating.